Thus Georges Wanis, the France-based Egyptian tenor, on one of the best known works by Giuseppe Verdi, and one that remains particularly close to Egyptian hearts. 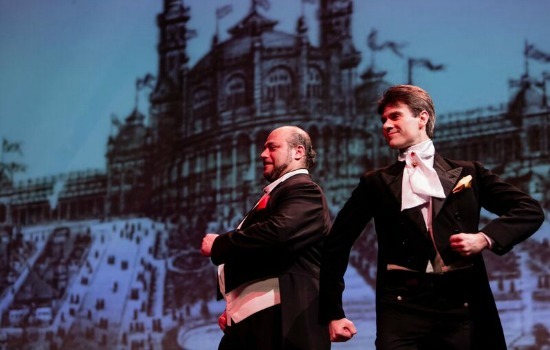 Not only does the thematic content of the work link it to the country’s ancient history, the opera was also commissioned by Khedive Ismail Pasha, based on a story written by the French Egyptologist Auguste Mariette.The opera’s world premiere took place at the Khedivial Opera House in Cairo on 24 December 1871 – even if Verdi subsequently added some modifications to the work, giving Aida another premiere in February 1872, at the Teatro alla Scala in Milan, Italy. Aida continued to resonate in the minds of Egyptian music aficionados; many still remember its mega production in 1987 at the Pyramids, and the performances in front of the Deir Al-Bahari Temple (Hatchepsut Temple) in Luxor (1994-1997). With such a background supplemented by Verdi’s musical genius, it is no wonder that Georges Wanis, who sang whole Aida or excerpts on several occasions internationally, should be so excited. He is to return to Verdi’s work in a production of the La Fabrique Opéra Val de Loir in Orleans, France, directed by Wahid Lamamra and scheduled to premiere in March 2017. In this production, Wanis is cast in one of the leading roles: Radames, the young warrior and leader of the Egyptian troops whose passion for Aida, the Ethiopian princess taken to Egypt as a prisoner, complicates the plot. “I am very happy about this work. It will be my first cooperation with the Orleans Opera, yet not the first with the soprano Marilyn Clement who was cast in the role of Aida,” Wanis reveals, referencing his cooperation with the singer on the same material a few years back. In fact, the French soprano is also known to the Egyptian audience since she sang solo in Carl Orff’s Carmina Burana conducted by Hisham Gabr and performed in Cairo and Alexandria in February this year. 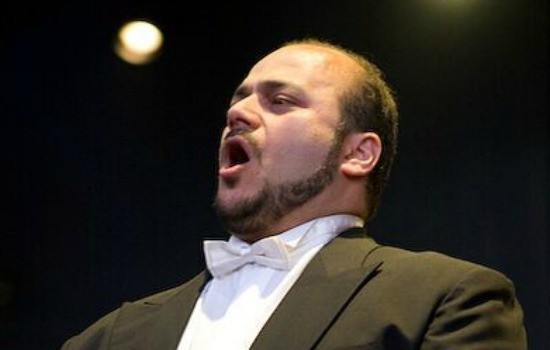 For the Egyptian tenor living outside the country for many years now, Aida is not only an important work in his large repertoire, it is also an opportunity to reconnect with values that are cherished in his homeland. Wanis was born in 1971 to an Egyptian father and Italian mother, a family which also had Austrian and Greek ancestors. Though Wanis moved to France in the 1990s, the seeds of what was to become his thriving operatic career lie in Cairo’s Basilique Cathedrale choir. “My parents encouraged me to join the choir, mainly so I could take care of my sister who was already enrolled there. Being in my teens, with many different preoccupations on my mind, I was not very enthusiastic about singing,” Wanis laughs, recalling the beginnings of his artistic endeavours. To his surprise, however, only a few months after joining the choir, Wanis was given a solo in the St Cecilia Mass, performed around Easter. “A friend of mine recorded the mass and gave it to his father to listen to. It so happened that his father was the bass Claude Rathle (whose mother, Jilan Rathle taught such renowned names as Hassan Kamy, Violette Makkar and other singers of that generation).” Recognising a budding talent, Claude Rathle immediately sent Wanis to Violette Makkar. Unlike his parents, who loved art but never made a profession of it, Wanis’s career began to take off; he joined the Cairo Opera Company (1992-1995) and took part in Aida performed in Luxor in 1995, an event which he calls “a great experience for the beginner that I was.” The Luxor performance was one of the last experiences Wanis took with him from Egypt before moving to France, where he enrolled at the Ecole Normale de Musique de Paris studying under Caroline Dumas. Violette Makkar and Caroline Dumas keep returning in Wanis’s reflections on his formative years, since, as he says, each has significantly contributed to his creative journey and artistic development. 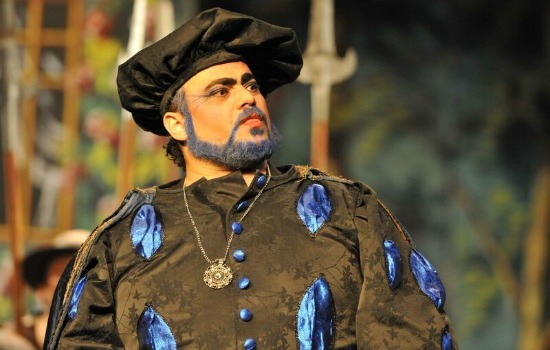 Today, having spent over two decades in France, Wanis has a large portfolio that includes performing the leading roles in many famous operas (Ernesto in Donizetti’s Don Pasquale, Tamino in Mozart’s Magic Flute, Faust in Gounod’s Faust, Mario Cavaradossi in Puccini’s Tosca, Manrico in Verdi’s Il Trovatore, Nadir in Bizet’s Pearl Fishers, among many others) and singing in oratorios and lieder. He has cooperated with such internationally renowned musicians as pianist Aldo Ciccolini, mezzo-soprano Bruna Baglioni, bass Bonaldo Giaiotti, tenors Giuseppe Giacomini and Alain Vanzo, soprano Wilhelmenia Fernandez and director Vittorio Rossi, to name but a few. This is topped with performances at many renowned theatres: Cairo Opera House, Algiers Opera House, Egyptian Cultural Centre in Paris, Cité Internationale des Arts of Paris, Grand Amphithéâtre de la Sorbonne, Bibliothèque Nationale de France, Athénée Theatre (Paris), Unesco main hall (Paris), etc. Wanis is also a regular guest of the concerts performed at the Saint Julien le Pauvre church, where his “Tribute to Pavarotti” gained the audience’s acclaim. We also learn about his participation in numerous festivals such as Festival de Bruges (Belgium), Morella (Spain), Autumn Festival of Come (Italy), Festival de Saint-Céré, Festivales en Brou in Bourg en Bresse, etc. He has garnered several awards, from the first prize at the Singing Contest organised by the Egyptian Ministry of Culture (1995) to securing a position among the finalists at numerous international singing contests. He received first prize at the Leopold Bellan Contest in “Excellence” grade (1999) as well as the Lyric prize at the Œuvres Des Saint Anges competition. Though Wanis’s repertoire covers many composers and spans numerous musical ages and styles, he does not seem to prefer any of them over any other. Wanis explains that while he excels in bel canto, there are different emotions involved in the work of each composer, and he enjoys them all equally: he savours the closeness of orchestra in oratorios, revels in the interaction with other singers in operas and relishes the personal feeling that characterises recitals. Speaking of composers and styles, he points to Bach’s precision “where if you miss a crochet you are lost”, to Verdi’s “coronas,” an Italian term for fermata indicating prolongation of a note. “While sopranos like Mozart, saying their voices are ‘well seated’ in his music, he is harder for tenors, yet I enjoy the challenge and feel good singing his music,” Wanis adds. Wanis has garnered several awards, among them the first prize at the Singing Contest organised by the Egyptian Ministry of Culture (1995), first prize at the Leopold Bellan Contest in “Excellence” grade (1999) as well as the Lyric prize at the Œuvres Des Saint Anges competition. At the same time, his CV reveals that his curiosity has driven him to a number of lesser known roles such as Satyavan in Gustav Holst’s chamber opera Savitri, and Avicenna (Ibn Sina) by Michiel Borstlap. Moving between many commitments and projects, singing continuously and sharing his expertise as a tutor across France and internationally, Wanis is also responsible of an amateur choir which performs a mostly classical repertoire, a project he considers to be an extension of his vocation as a singing tutor. Wanis goes on to explain how he enjoys teaching and how he reveals to his students that singing is an instinctive act that the beginner learns to control. “Everyone sings, children, grownups, it is something within us. Unlike instrumentalists who are not born with an instrument within them, we are all born with the vocal words, and we all use them without thinking. As singers we learn therefore how to think during singing, how to think and apply a technique, how to control the reflexes. With development, this control starts happening without thinking,” Wanis explains. It is such values that Wanis passes to his students. In Egypt, he holds annual master classes with young singers, one of the ways in which he reconnects with the country. Another link with Egypt is his support of Al Nour Wal Amal, Egypt’s only orchestra for blind and visually impaired women. Representing the orchestra in France, Wanis has managed to bring them to perform in Paris more than once. As he travels through music, Wanis keeps making high demands on himself, probably like all musicians do. “We look for an idea which is not always easy to achieve. Music is not an easy choice for a profession. We don’t have a monthly salary. In France, most singers are not on permanent contracts; it is a constant free lance life,” he explains. Yet though many free lancers are deprived of luxuries such as apartment rental plans or credit, they still pursue their passion. Wanis has cooperated with internationally renowned musicians including pianist Aldo Ciccolini, mezzo-soprano Bruna Baglioni, bass Bonaldo Giaiotti, tenors Giuseppe Giacomini and Alain Vanzo, soprano Wilhelmenia Fernandez and director Vittorio Rossi, to name but a few. Wanis has already had first meetings with the Opera Aida team and the work will begin soon. In the meantime he is busy with regular concerts across France. Most recently he sang in Cavalleria rusticana, during an event attended by the French Minister of Education, which will be repeated in November. He is preparing for yet another recital, a tribute to Pavarotti. Before the year ends, Wanis will sing in concert form of Opera Broceliande by Andre Bloch, Verdi’s Requiem and Beethoven’s Symphony no. 9. And as his commitments multiply, with opera Aida scheduled for March, further in the future, Wanis will also take part in Soirees Estivales de Brou, a festival dedicated to operatic art. We can rest assured that we are yet to hear from this dynamic tenor.